The Blossoming Lotus recognized as the Best Restaurant on Kauai by the Honolulu Advertiser. 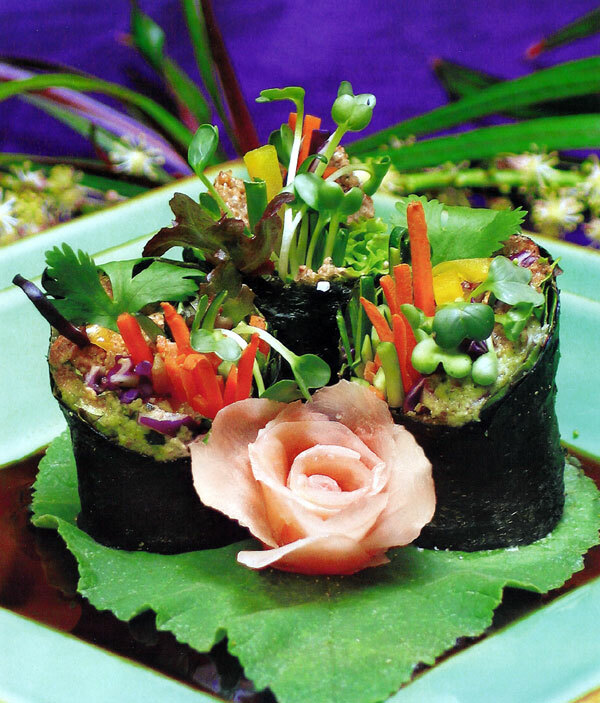 The 2006 'ILIMA award went to the world renowned restaurant, and marks the first time in history that a vegetarian restaurant has won "Best of" from among hundreds of restaurants serving all kinds of fare. The Blossoming Lotus recognized as the Best Restaurant on Kauai by the Honolulu Advertiser. The 2006 'ILIMA award went to the world renowned restaurant, and marks the first time in history that a vegetarian restaurant has won "Best of" from among hundreds of restaurants serving all kinds of fare. Co-founder Gabriel Zingaro accepted the award on behalf of the Lotus at the Gala ceremony, October 9th at Diamond Head Theater on Oahu. This prestigious award joins recent accolades bestowed on the restaurant, such as the acknowledgment in Pauline Frommer's 2006 Hawaii Guide as the "Best Place to Eat" on Kauai. The Lotus was also voted, "Best Vegetarian Restaurant" on Kauai by readers of Garden Island Newspaper, for the second year in a row. All with good reason, just ask any of their happy diners. The Blossoming Lotus is located in the Historic Dragon Building in downtown Kapa'a at 4504 Kukui Street and is the only "certified green" restaurant in Hawaii. The gourmet vegetarian menu is billed as creative satisfying food with a conscience. The innovative cuisine gave rise to Vegan World Fusion Cuisine, a cookbook by founders, Bo Rinaldi and Mark Reinfeld, showcasing more than 200 international dishes from the Lotus. Highly acclaimed, this beautifully illustrated cookbook has drawn words of praise from all quarters of the culinary world. Co-founder, Bo Rinaldi notes that this exciting honor validates what he has always believed, "The 2006 'ILIMA award confirms that vegan cuisine and fine dining are not mutually exclusive. We thank our friends in Hawaii and travelers from around the world, who support us in our mission to offer the very best of Vegan World Fusion Cuisine to diners at the Blossoming Lotus." Executive chef Mark Reinfeld characterizes Lotus cuisine as international gourmet vegetarian, and commented, "Only about 10 percent of our guests are vegetarian, the rest just come here because they really like the food." Gabe Zingaro and Mark Reinfeld are available for interviews. 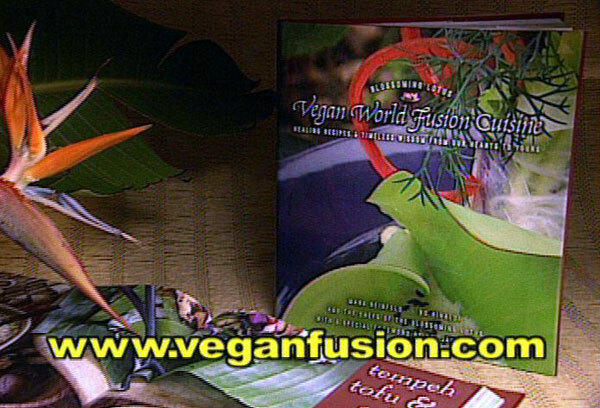 Vegan World Fusion CuisineAward winning cookbook from the kitchen of The Blossoming Lotus Restaurant in Kauai. Carpe Diem Nori RollsOrganic, locally grown ingredients and a peaceful, loving approach to food preparation make the Lotus an exceptional gourmet dining experience.